Keeping a blog, and a successful one at that, is quite hard. First, it’s about getting started, which is a huge step. Next is actually developing a theme or focus of sorts, to make the blog consistent and coherent. Then it’s having the discipline to post on a more regular basis. And with all of that settled, it’s getting the traffic and gaining readers. Then again, people might say that the point of having a blog is writing freely, without constraints – whatever, whenever. But if a blogger wants to sell his or her blog, eventually things will have to change. And this is where the new feature of Google Plus, Google Communities, enters the picture. Google Plus has been doing a lot of marketing, trying to compete with Facebook. But it appears that, on this side of the planet anyway, most people remain rather clueless about the details of Google Plus, much less the newly rolled-out Google Communities. In terms of features, Google Communities’ are similar on some levels to Facebook Groups. You can create private or public interest groups and have discussions, share photos and videos. Some say that the photos shared on Google Plus have better quality, although the thing with Facebook is people are quite used to it, and the quality of uploaded photos has improved quite a bit. So the question remains: why go into Google Plus, and specifically into Google Communities? What makes it different? 1. 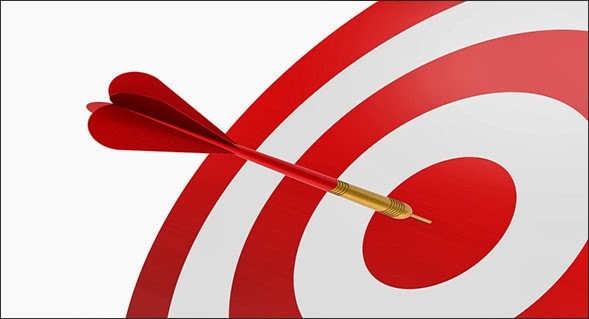 Identify what , identify your niche. As was mentioned earlier, make sure your blog is ‘structured’ on some levels, or, at least, you must be able to identify topics of interest in your blog. What are you writing? Does it have to do with professional work? A portfolio of sorts? Is it school-related? Is it like a personal journal or diary? Does it involve a certain hobby? Try to be focused. Go for depth. You don’t have to limit yourself to just one theme or topic, but at the same time, don’t try to cover anything and everything as you may very well end up with nothing. This is important because it leads to #2. When you go to Google Communities, you can search for discussion groups by typing keywords into the search bar, and a list of groups with their respective descriptions will be generated. Make sure you join the right groups by reading the descriptions carefully. While numbers can be indicative, there’s no guarantee, so don’t just immediately join a group with the most members. Choose a group that shows to have more active members. Another is to choose a group that has a specific interest or aim that will be in line with your blog’s theme. Then make sure to tag your post for your blog with the right tags, to help people find you. 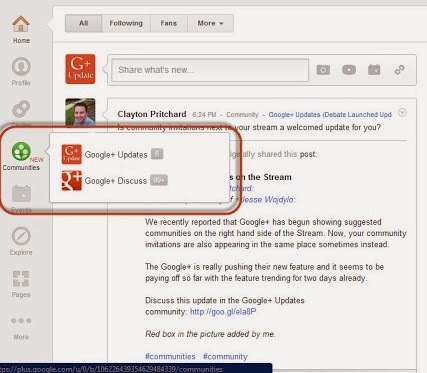 On a side note, it would help if you maximize the other features of Google Plus as well. Make sure your profile is updated and properly filled out. Get more people in your circle. Then use these contacts to see how they are active in Google Communities, and get tips from their usage. Many times, people don’t respond to our posts because we don’t respond to theirs. So keep things going by taking the initiative to react to people’s postings. It’s called reciprocity. Also, get advice and tips from some existing discussion groups on Google Communities. For instance, there are discussion groups that are composed of bloggers who are interested in helping bloggers. That can very well be a good place to start. Celina Conner is a Yoga Instructor, a holder of a Diploma of business from Martin College Australia and a mother of a beautiful daughter, Krizia. She has a passion in cooking and formulating vegan recipes. Follow her adventures on her Twitter. thanks for this post. google is a great way to get more traffic and rankings to the website. great and useful points for all the bloggers. a nice and a helpful post. Thank you very much for sharing this valuable post here. This tips will be very helpful one for blog promotion in great way.